August 2, 2015 August 2, 2015 Meghan Kaul3 Comments on What Happens During a Pranic Healing Session? Is there physical touch? If so, where? Do I need to be silent during the session? What do you do during the session? Signing up for 60 minutes of energy healing can sound intimidating when you have no idea what is going to happen! Energy healing sounds weird enough to most people, let alone suddenly sitting in a room with a stranger who’s going to do heaven-knows-what to you. Luckily, having Pranic Healing done on you is a piece of cake! There’s less for you to do or think about compared to most other types of health visits. First: We’ll talk about why you came for healing. Nowadays, I am doing only distance healing sessions, so we will talk on the phone. You may need healing for mental/emotional difficulties such as anxiety, fear, stress, phobia, addiction, or mental illness. I’ll simply ask your symptoms, how long it has been going on, and write down the information you give me. You may come with a physical ailment such as back pain, menstrual cramps, sinus infections, migraines, arthritis, asthma, AIDS, cancer, or countless others. I will ask you the same questions plus any medical history or medications I will need to be aware of so I can use the right healing techniques for efficiency and safety. Then, we start the session. You sit or lay down comfortably, and then…. do nothing! You can put on relaxing music, practice deep breathing, or even doze off as happens occasionally. I will ask you to do two small things: keep your palms facing upward because it opens your energy field (it’s like the opposite of crossing your arms), and connect the tip of your tongue to your palate. Just curl your tongue so the tip touches the roof of your mouth. This completes an energy channel than runs up and down throughout your whole body, and it strengthens your entire energy field. I generally don’t talk much during the session so I can focus, but if you think of a question or comment, absolutely feel free to ask! Maybe you forgot to tell me about a certain symptom, etc. And if you need to use the bathroom, it’s totally ok! What doesn’t work as well is performing an activity that requires concentration like working, reading, or engaging in a lengthy conversation with someone. These keep our energy from relaxing to the fullest extent possible so make it a little more difficult to extract the congested energy we need to remove. Quiet music, closed eyes, and abdominal breathing are great. In about an hour, I will call you, tell you I’m finished, and ask you how you feel. The most common first words out of the client’s mouth? “I feel so relaxed!” Then I will ask you what changes you notice, if any, in the symptoms you told me about before the session. Decrease in pain, feel calmer, have more energy, eyesight improved (yes, this was a recent session I did! ), etc. From your perspective, that’s it! Now… what is it I am doing during the session? 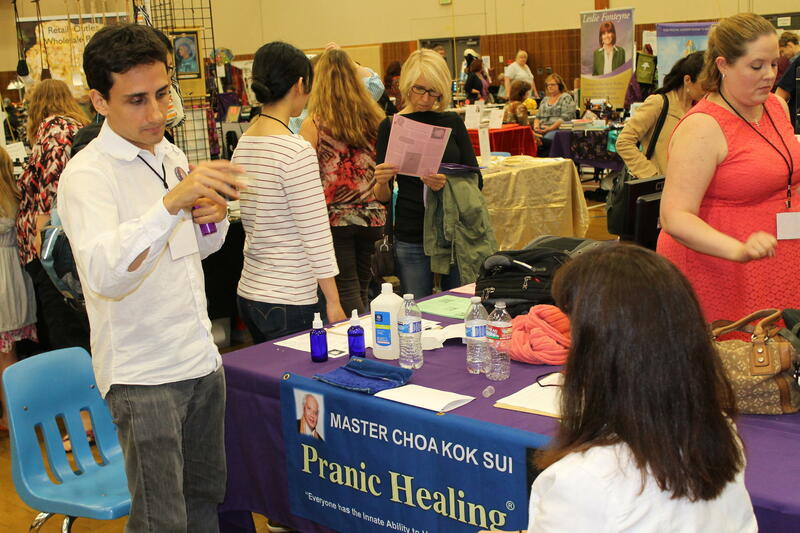 To start with, it’s good to read What is Pranic Healing? No need for me to write that all again here. Through our initial conversation, I have determined how to tailor the session to your needs. To begin with, the founder of Pranic Healing, Master Choa Kok Sui created hundreds of protocols, or listed healing steps, for each individual ailment, whether mental/emotional or physical. So I always start by finding the protocol for your health condition. The steps will tell me which chakras or organs to work on. Which ones to cleanse, energize, and with which colored pranas (each color prana has a different healing effect; some cleanse in certain ways, others energize in certain ways–these colored pranas can even regenerate organs!). If you have multiple health conditions, I may combine protocols. If you have a physical ailment which we determine is mainly caused by stress, trauma, or other psychological condition, we may start with a strictly Pranic Psychotherapy session to heal the underlying cause. Then–how do I heal those chakras and organs as instructed? Firstly, we don’t physically touch in Pranic Healing. A person’s energy field interpenetrates and extends beyond their physical body. So I can “touch” your energy without touching your body. For this reason, you may feel nothing during the session. Others are sensitive to energy (perhaps without knowing they are sensitive to energy), and feel where they are being worked on as an extremely gentle pressure or sense of movement. And some people feel pain decrease and disappear, stress and negative emotions decrease and disappear, and much more. To cleanse a chakra or part of the body, I will simply scoop my hand near that area. I will be removing the dirty, congested energy, and I will drop it into a nearby bucket with salt water in it. Water contains this diseased energy (so it doesn’t end up in the room, on me, or back on you), and salt breaks down this energy. It’s like a little dirty energy garbage can. You will also hear a spray bottle as I spray my hands with salt water as well to keep them clean. In my case, I use a crystal for healing which is taught in a special Pranic Healing class. The crystal more powerfully and efficiently removes the congested, blocked energy and also energizes faster and more powerfully. So I will be waving that around too! And don’t worry if you are still skeptical! People seem to feel guilty about that, but come on, I grew up in western culture too! I totally get it. It sounds weird, looks weird, and especially distant healing seems pretty wild. All I can say is an open mind is enough for the healing to take place, and you wouldn’t be reading this far if you didn’t have one! After a session or few, the results will speak for themselves. In Pranic Healing, we don’t expect you to just take our word for anything. Try it for yourself and see if it works! For more session information, click here. HOW ABUNDANCE AND PROSPERITY CAN BE ACHIEVED?